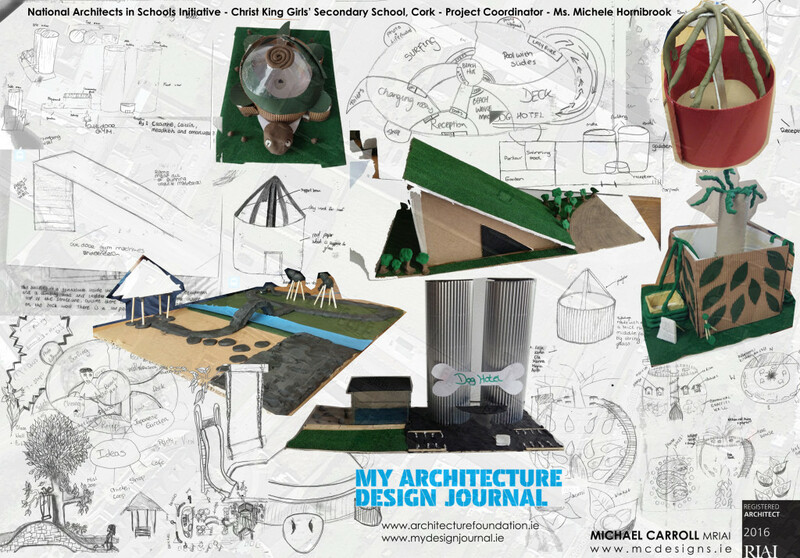 Design panel by architect Michael Carroll who led the National Architects in Schools Initiative with students in Christ King Girls Secondary School, 2015-16. As part of our transition year course, my class and I took part in a project held by ‘Irish Architecture Foundation’. We first received “My Architecture Design Journal” from our art teacher, Ms. Hornibrook. Before we began this project the architect, Michael Carroll introduced us to the background work in the architecture design! He also showed us some of his own work and the work of other architects that he admires. We got into groups of 4-6 and began our projects. Firstly, we researched and found buildings and architecture that we thought were interesting, inspired us and would like to visit sometime! We found out the name of the building, the architect, the location and information about it. We also looked at and identified architecture and buildings in our local area. We found an empty site near our school and began to focus our main project on this! Then for the following weeks the architect, Michael Carroll helped and guided us through the process of designing a building. We were given the size and pictures of the area that we were focusing our project on, and we had to come up with plans and ideas for this area. In our groups, we started to do different sketches, and also had to take into consideration the surrounding area and think of a building that would fit well there. We decided as a group, our local area needed a good water activity centre! Then putting all our different ideas and sketches together in our group for our ‘water activity centre’ that included slides, underwater tunnels, wave machines and swimming pools. Using our creative imaginations we designed the outside look and birds eye view of the building to be a big green glass dome turtle. This would be made with green tinted glass giving a good source of light to the building. For our final part of the project we made a 3D model of our ‘turtle glass dome’, using different materials to present our project design. Overall I really enjoyed taking on and being part of this project during transition year. My favourite part of the project was transforming our 2D sketch on a sheet of paper, to a 3D model using simple materials! 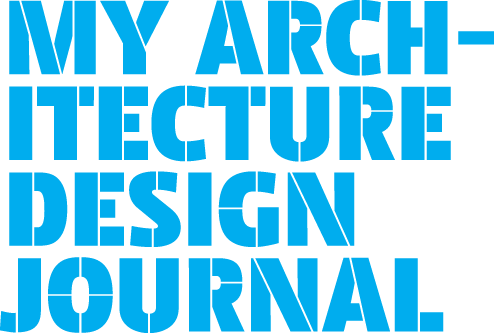 From my experience of participating in ‘My architecture Design Journal’ I learned a lot about architecture and it comes to show what you can create from a pencil sketch to a 3D model and then eventually maybe a real-life size building! I also really enjoyed working as part of a team and putting our individual ideas together as one. I can easily say that everyone in my class really enjoyed this experience and taking part in ‘My Architecture Design Journal’ project. I would recommend this to anyone who has an interest in architecture, or enjoys art in anyway!